O.P. Jindal Global University (JGU) has been granted autonomous status by the University Grants Commission (UGC) under graded autonomy Regulations 2018. This announcement was made by the Union Human Resource Development Minister Mr. Prakash Javadekar on 20 March. JGU has become the first and only private university in Haryana and also one among the two private universities in India to be granted autonomy. 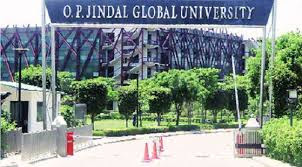 Naveen Jindal, Founding Chancellor, O. P. Jindal Global University said, “This feat reiterates JGU’s commitment to shaping India's aspirations of building world-class universities through comparative and international dimensions. We are grateful to MHRD and UGC who have appreciated our endeavour. It is imperative for India to take stock of the state of its universities and redefine their roles in the fast-changing global scenario. It is time for India to join ranks with world-class universities and improve the academic environment for our students.